Think for a moment about what you do to promote this type of thinking in your class. We will look at four practical steps to encourage critical thinking among children, with strategies to help them think and act as Christians. Inviting children to think critically involves building trust, offering the right amount of content, providing time for reflection and asking questions to prompt discussion. Trust requires emotional and social safety. Your children need to know they can trust you, their leader, and the other kids in the group. They need to know they are loved by God and by you. Some professionals asked a group of four-to-eight-year-olds, “What does love mean?” Responses included: “When someone loves you, the way they say your name is different.” “You know your name is safe in their mouth.” Love feels real in an environment where kids know no one will make fun of them. Why do people wait to the last minute to pray? How does God know what we are praying if we pray in our heads? Why do some people ask for sunshine and some ask for rain? These children demonstrated they were using critical thinking skills in making sense of God and our interactions with Him. Think about what you are already doing that creates safety and builds trust and belonging in your group. What else can you do? Many teachers believe children are like sponges-the more Bible stories and lessons they hear the better. This thought leads to the belief that more is better. Therefore, since kids are being inundated with the secular media, we must teach our students as much as possible to counter all they are taking in. But if we take a little plant and immerse it in water, most of us would agree more is not better. Too much water, sun or nutrients will drown the whole plant. If we allow the plant to take in just enough water, sunshine and nutrients, healthy growth and good fruit are more likely to occur. The same logic is true for kids and spiritual feeding. Gradual steps are needed for their growth. Remember, less is more! After teaching a lesson do you ever wonder if the children understood even half of what you said? When I give my class time to reflect, I spend less time worrying about that question. The pace of our teaching is often built around quarterly curriculum. An objective is covered and completed each week. It’s easier and faster to tell kids the Bible story, explain what they need to know, ask fact questions, and a few application questions and move on. In our hurriedness we can fall into the trap of assuming if there is knowledge there is meaning. But better way for a child to gain meaning from the lesson is to ask good questions and provide time for children to dialogue. “Conversation is the laboratory and workshop of the student,” said Ralph Waldo Emerson. Giving your children time to verbalize their thoughts and feelings help them construct meaning. When you hear them restate, refine or change their point of view you’ll know they are thinking critically. Meaning must be personally constructed. Then the child will have a compelling why to act upon what he knows. Through exchange of thoughts, especially from child to child insights occur and the desire to learn actually becomes play-particularly when the answer is not obvious. Think about the last lesson you taught; then draw a pie chart. Divide how you used your time with your kids; e.g., 20 percent telling the Bible story, 15 percent music, 15 percent craft activity, etc. This exercise will help you determine how much reflective time your kids actually engage in. 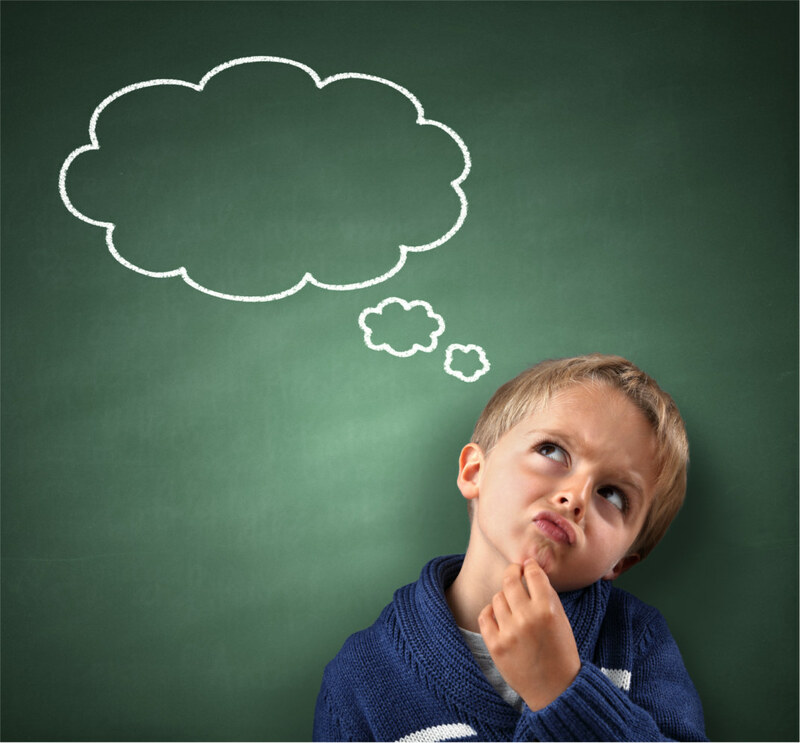 Look at your next lesson and create two or three reflective statements to use after telling the story, such as, “I wonder what Paul and Silas were thinking about when they were in prison.” Pause and allow kids to wonder and respond. Biblical relevancy is often dropped from discussion times, seen as outdated or nonexistent. Help kids uncover the material and go deeper by looking at your lesson through their eyes. Children who engage in critical thinking are more likely to make good decisions and wise choices throughout their lives. They also worship and enjoy God on a more personal level. By creating a safe environment and planning to engage kids in critical thinking, you will experience sacred moments when concepts of God are being formed in their minds. You will have the privilege of seeing God at work when a child understands why Jesus had to be born. More sacred moments are bound to occur-because the story keeps getting better! Just because kids hear biblical truths does not mean they believe them or act on them. Reflect on the big picture: How will you help move kids on their spiritual journey through the following stages? Hearing God’s truth clearly, relevantly and creatively. Giving time to respond and sort information. Raising confidence to respond in a way that Jesus would. Because the Holy Spirit is at work there are unpredictable pieces to this process it happens in various time spans but can happen simultaneously. Each of us comes to new learning based on our previous knowledge, understanding and experiences.